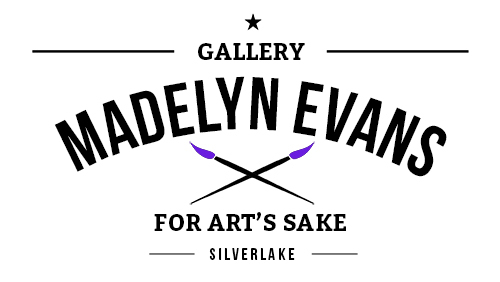 The Madelyn Evans Gallery opened its doors in Silver Lake in 2001, and is committed to exposing new talent with a focus on Urban Post-Modernism. MEG's goal is to support the reinvention of the future, with a nod to urban classics, and above all, to inspire creativity and interaction for art's sake. The gallery is happy to facilitate sales and loans of pieces done by our diverse roster of painters, photographers, sculptors, and installation artists.